Temporomandibular joint disorder, also called TMD or TMJ, develops when uneven stress or strain puts excessive pressure on the joints of your jaw, causing your muscles and joints to become irritated and inflamed. The teeth on your upper and lower jaws typically work in pairs, so when you chew or bite down, the pressure on your joints should be distributed evenly. TMJ can occur when this pressure becomes uneven, for example, if crooked or missing teeth cause you to have an uneven bite balance. Chronic tooth grinding (bruxism) can also cause or contribute to TMJ. Our 5-star-rated TMJ specialist in Santa Barbara, CA, Oxnard, CA and Camarillo, CA can help you find relief for your jaw pain. As your jaw joints become more inflamed and irritated, you may develop persistent jaw pain and chronic headaches. You could also experience clicking or “popping” noises when you chew, as well as muscle spasms, facial or neck pain, and hearing difficulties such as ringing sensations or “stuffiness” in your ears. Sometimes, your jaw can temporarily “lock” in an open position after you’ve yawned or opened your mouth very wide. TMJ rarely resolves on its own, and unless it gets properly treated, its symptoms can grow much more severe over time. Are There Other Causes For Jaw Pain? Yes. While TMJ is a common cause of persistent jaw pain, it’s not the only one. 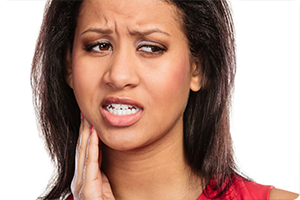 Other possible reasons for jaw pain can include tooth decay, infections and abscesses, gum disease, cancer, and other issues. If you are experiencing jaw pain, the best way to identify the underlying cause and find relief is to see your tmj specialist in Santa Barbara, CA, Oxnard, CA and Camarillo, CA, as soon as possible for an evaluation. In treating a case of temporomandibular joint disorder, Dr. McDade will focus on finding ways to realign and re-balance your teeth and bite in order to reduce uneven strain on the jaw joints. Some symptoms of TMJ may be reduced with certain exercises, medications, or mouth guards designed to hold the jaws in proper alignment. Other treatment options may include orthodontic care or the replacement of missing teeth, which can help to correct the underlying problem and thus provide long-term relief. Schedule a Consultation With Our TMJ Specialist in Santa Barbara, CA, Oxnard, CA & Camarillo, CA, Today! Come experience McDade Orthodontics! You will quickly see for yourself that our TMJ specialist in Santa Barbara, CA, Oxnard, CA, and Camarillo, CA, offers innovative and effective TMJ treatment in Santa Barbara, Oxnard, Camarillo, Ventura, Ojai, Goleta, Monticito, Carpinteria, Thousand Oaks, and Newbury Park, CA!